Brit Decor : Home Page: Brit Decor Loves! 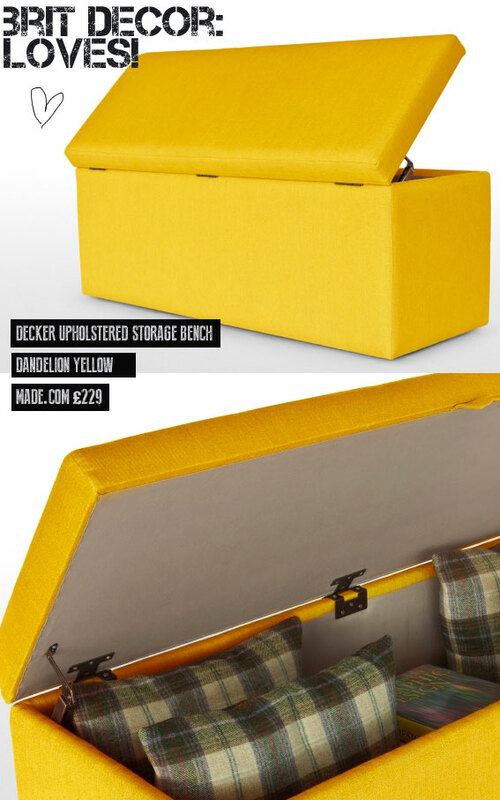 I just had to share this find with you - I love the bold zesty colour of this upholstered storage bench from made.com and the label, 'Dandelion Yellow' is so apt as this colour reminds me of the fields of dandelions glowing in the summer sun when I was growing up. However, if yellow isn't your colour, the bench also comes in a range of other shades. Happy shopping!